You can't start a job without the right tools. The same is true for studying the Bible. If you look around any Christian bookstore, though, you'll see there are about as many Bible study options as there are people. Some require a major time commitment, others take only a few minutes a day. There are topical studies, book studies, word studies, and more. Where do you begin? 1. Choose the right translation. Walking into the "Bible" section of your bookstore can be overwhelming. There are enough acronyms to make your head spin. If you're going to make the most of your time studying the Bible, you need to choose the right one. Where do you start? NIV - easy to understand, this is a very popular translation with lots of Bibles and other study materials to choose from. I teach children's church, and this is the translation I use when I teach. NASB - For my own personal study, this is the version I use. It's widely regarded as one of the most accurate translations, plus it's easy to understand. Personally, I am a huge fan of the NASB Study Bible. One important note: Make sure you choose a translation (NASB, NIV, etc.) instead of a paraphrase (The Message). A translation is word for word from the original languages, while a paraphrase is a retelling in an individual's own words. Paraphrases can be a great tool - I love reading The Message - but they should be used as extra reading, not your main study Bible. Now what about types of Bibles? Once you choose your translation, you can find anything from a devotional Bible to a study Bible to a wide-margin Bible just for taking notes. I love a good, basic study Bible, like the NASB Study Bible. It's filled with good information, including background information on each book, maps, cross references, and more - but it's all on a pretty easy to understand level. It's a great for your first study or your hundredth. Are you a visual learner? Do you like variety or do you need repetition to learn? Do you move quickly through new material, devouring it all at once, or you like to mull over new ideas over a few days or weeks? Look for a study that moves at your pace without overwhelming you. Personally, I'm very visual. I love using colors, symbols, charts and graphs to help me digest information. When I discovered Kay Arthur's book "How to Study the Bible for Yourself" I knew I'd found my perfect match. 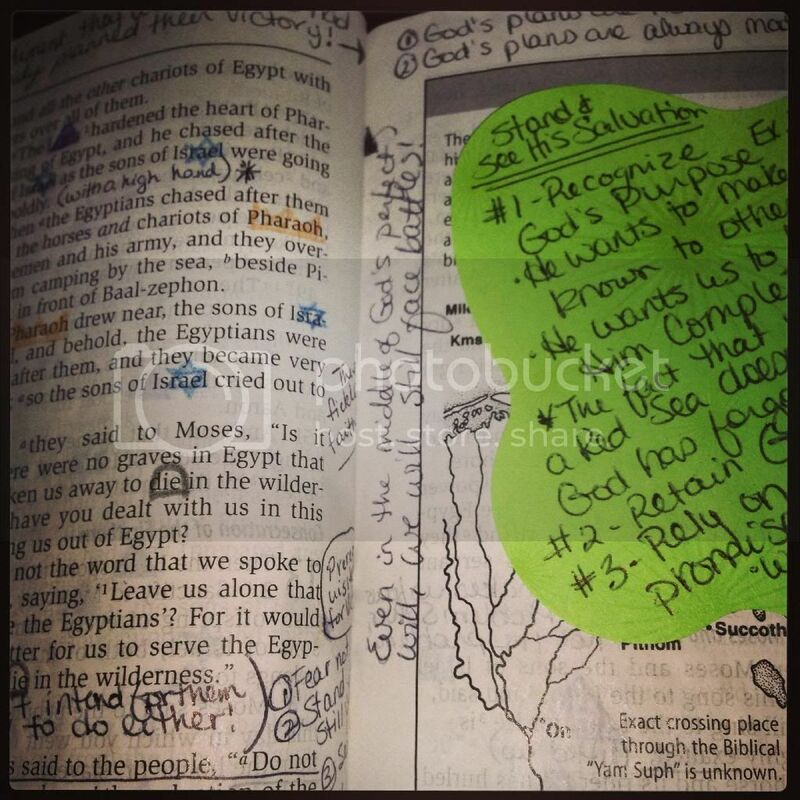 I love her visual, detailed approach to Bible study. As a former English major, I love to study the little nuances of a text, and her color/symbol approach to marking my Bible helps me see the big picture quickly. If you are just starting your Bible study journey, start small. Instead of committing to reading the entire Bible or jumping onto a year-long study, find a study that you can finish a few weeks. There are some great long-term, intensive Bible study plans (I'll get into specifics next week) but for now, set goals that you can reach in the short term. This also lets you experiment with different study styles. You might find that your original approach doesn't work. You may need to try several styles before you find one that fits. Next week, I'll walk you through a few specific styles of Bible study. And if you're ready to dive in to a short-term, doable study, consider signing up for Hello Mornings. Registration for the next study - a free six week study of the book of 1 John - starts today.